Yukon Gear & Axle differential carrier bearings are great, low-cost kits for carrier changes such as Positraction or locker upgrades. They are made of steel and include bearing races. 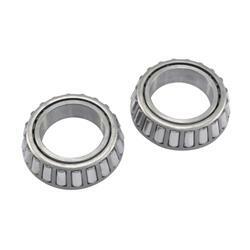 If you need a set of high-quality differential carrier bearings, look no further than Yukon Gear & Axle.